Sign up for PiQ today and evaluate it free of charge for 60 days! The free trial period includes up to 10 users, giving you an opportunity to implement PiQ in a test environment. Sign up for the Free Trial now. 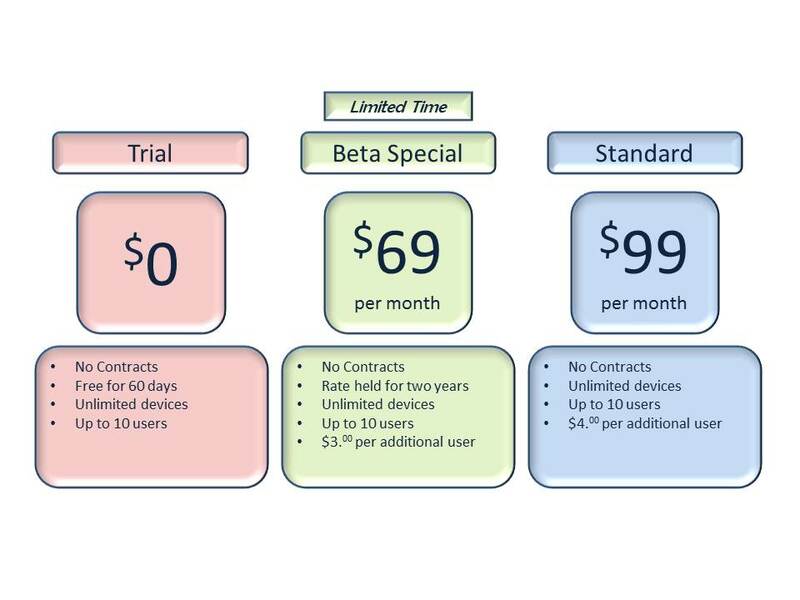 For a limited time, PiQ will be available at a special introductory rate of just $69 a month (up to 10 users, $3/month for each additional user) for our early-adopter customers. If you sign up with this group you will get a discounted rate locked in for two years. You’ll also receive priority service and support as a Founding Member, and will have priority input as we further the development of PiQ into new improvements and new modules. Sign up for the Beta Special now.